Calm sea, wide beaches of fine sand and lots of amenities provide comfort and fun to the entire family! Collecting seashells on the beach with your loved ones is one of the best holiday souvenirs! Choose the beach of Cesenatico for your holidays. 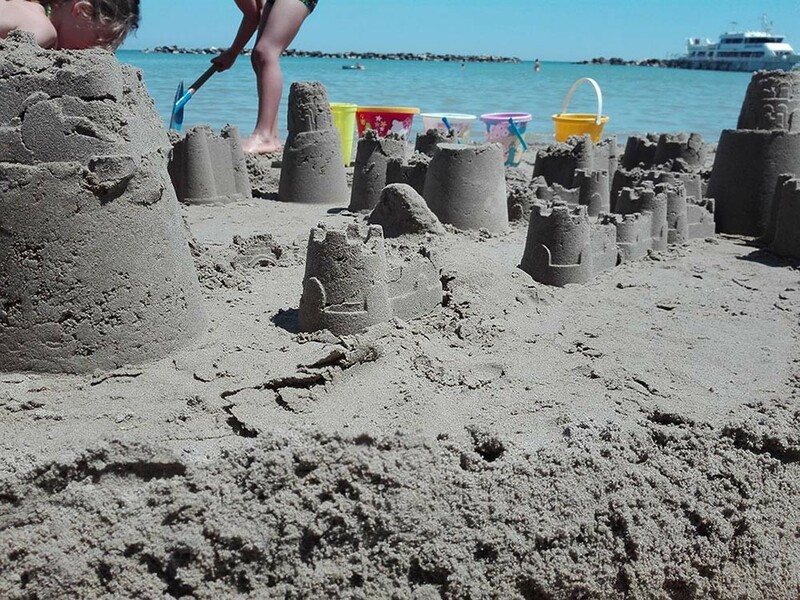 The beach in front of the Hotels Croce di Malta and Mexico in Cesenatico is 100 to 200 metres wide, with golden, fine and uniform sand; ideal features for holidaymakers with little children, and not only for them. The water is shallow, there are no currents and the soft sandy bottom without any holes descends gradually into the sea; a hazard free environment for children and people with little water skills. Temperatures in general are mild from May until September, allowing families to profit from lower prices outside the peak season. 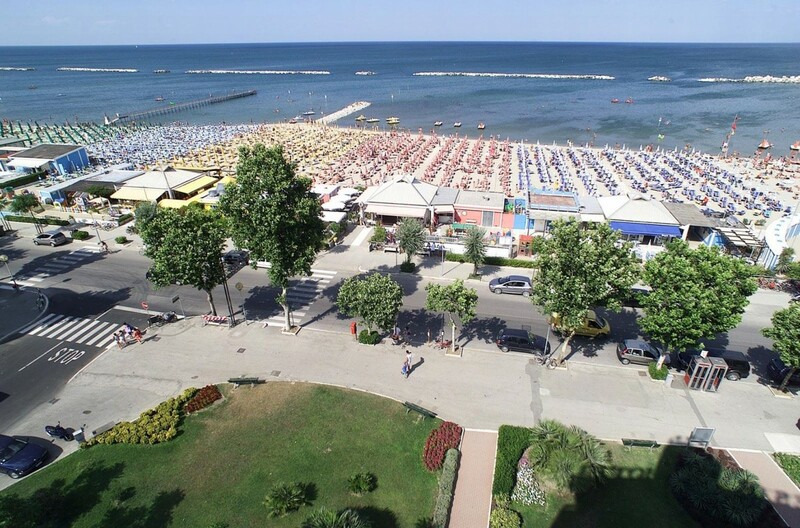 The bathing beaches in front of the Hotels Malta and Mexico in Cesenatico have avant garde equipment. The guests will find changing cubicles and hot showers, sports facilities for “boccia” boules, beach volleyball and tennis. There is also a program of amusing activities. Entertainment for children is organised daily in a dedicated play zone. For the adults, water workouts, soft gym, latin style dances and other entertainments are available. At the beaches in front of the Hotels Croce di Malta and Mexico in Cesenatico you will find facilities for swimming courses, windsurfing, water skiing and sailing. On the Adriatic coast, and particularly in Cesenatico, lovers of water sports will find many opportunities to deepen their relationship with the sea and try out new sports disciplines. 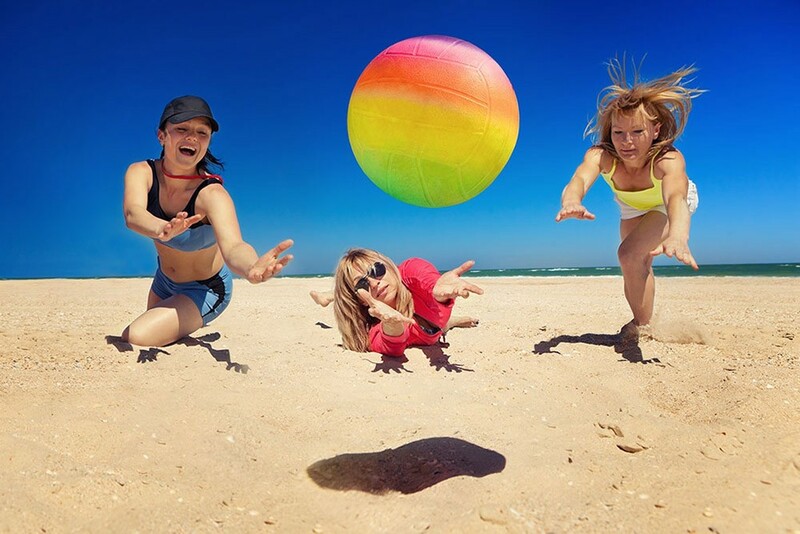 On the beaches there are “boccia” areas, beach volleyball courts and playgrounds for children. There is a high level of security thanks to an excellent lifegard service, equipped with 27 surveillance towers and motor boats for rapid interventions. Choose the sea of Cesenatico for your holidays.